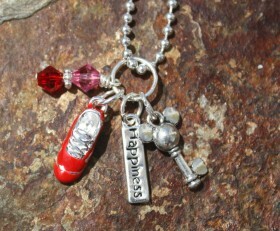 If running a Disney race makes you happy, this necklace is for you! 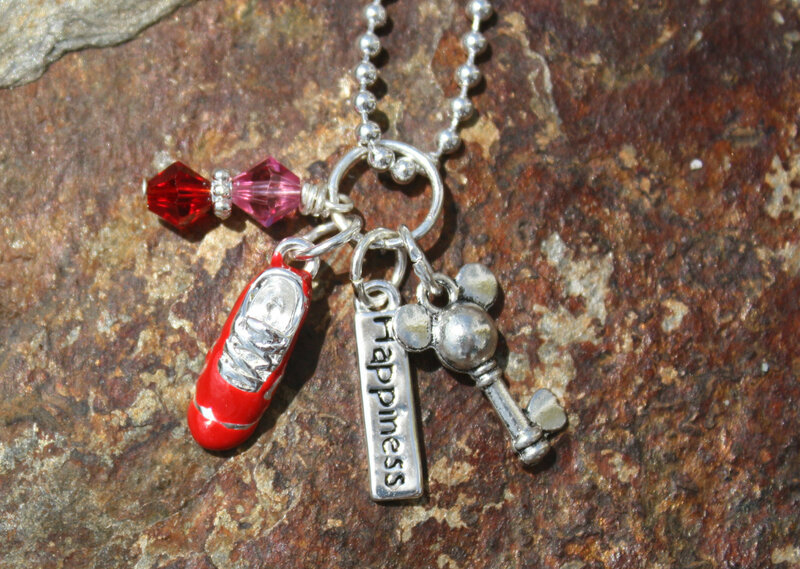 Beautiful red running shoe with red crystal on sole, happiness tag and adorable Mickey Mouse key accented by red and pink Swarovski crystals. Very unique and everyone will notice. You can also get with a pink running shoe.Choose your shoe color before checking out. Categories: Run Disney, Running Jewelry, Running Necklaces, Shop.